This past Wednesday I went out with my old tournament partner and TBF state youth director Barry Starud. We found lots of bluegill beds and plenty of fry guarders up shallow. 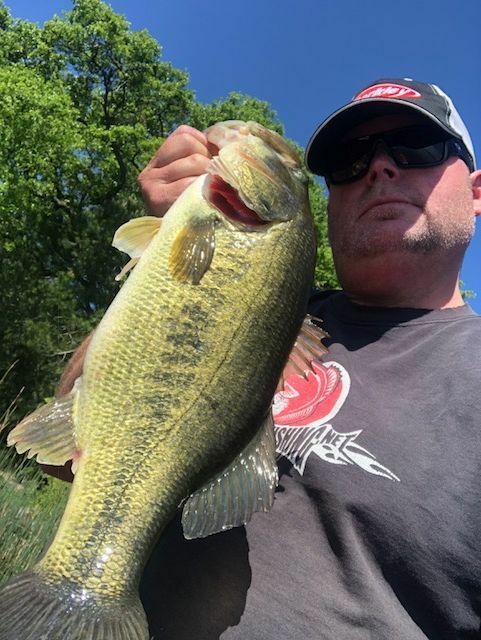 Most of our fish were caught on spinnerbaits and frogs with a consistent bite flipping creature baits. We targeted shallow water flats 3-6ft at a high tide. 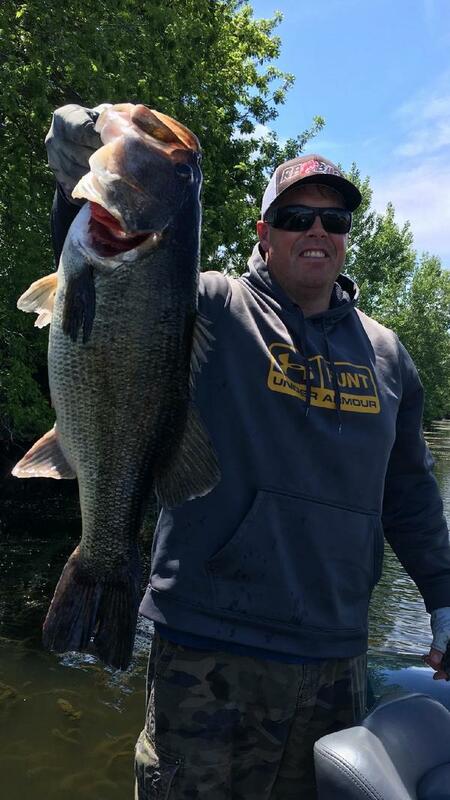 We looked for post spawn and spawning fish that are holding on tulle walls with clean grass on sandy bottoms and rock banks with sparse grass. We fished the first part of the morning which was a high out-going tide with 10-15mph west wind. We started off the morning with a very consistent buzzbait and whopper plopper bite and as the sun got up and the clouds moved in we picked up the blade and continued to catch good quality 2-4lb fish. Our frog and flip fish came on tulle banks that had plenty of spawning pockets and was right off deeper water. The frog of choice was a Snag Proof Wobbletron in Black Bullfrog. I tried to fish a regular style frog, but with the overcast and wind I couldn’t get them to commit. I feel the extra kick from the wobbletron allowed those fish to really key in on it. For are flipping set up we used Strike King Rage Bugs and Craws on a 3/0 VMC heavy duty wide gap hook with a 1/2oz VMC tungsten. We picked up the rest of our fish this way including picking up one 6.14lb and a few more 3lb fish with plenty of solid keeper fish as well.